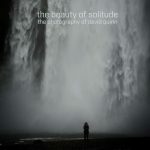 the beauty of solitude is now also available as a soft cover book. It is printed on a slightly glossier, lighter (148gsm) Premium lustre paper. The content is the same as the hard-cover book.